Are ADS-B Receivers the Key to Keeping America’s Skies Safe? 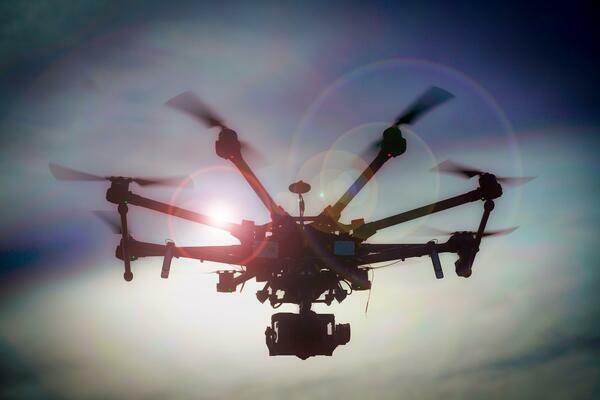 Are Automatic Dependent Surveillance-Broadcast (ADS-B) receivers the future of drone safety? Today, the potential inclusion of ADS-B receivers on drones is captivating the attention of those in aviation safety. However, there is disagreement within the industry about its use or feasibility, and particular concerns around size, cost and security. Another safety concern confronting the drone industry is maintaining the separation of manned and unmanned aircraft in the airspace—many see ADS-B as a possible solution. Although some are wary of the technology, proponents argue that ADS-B receivers would track manned and unmanned aircraft systems (UAS) in real-time, and thereby improve situational awareness in an increasingly crowded airspace. The concept behind ADS-B receivers is that drone operators can fly safely without solely relying on air traffic controllers. Located onboard aircraft, ADS-B receivers automatically broadcast the precise location of aircraft through a digital data link. That data enables nearby aircraft and air traffic control ground stations to see the location and activity of other aircraft in the area. They can also see their transmitting identity, altitude, velocity and other relevant data without the need for radar. ADS-B receivers allow operators to adapt to changing airspace conditions and avoid potential collisions, since the receivers transmit a host’s aircraft position and receive nearby air traffic signals used for sense and avoid capabilities. Tracking the airspace is dependent upon onboard signal transmitters. The transmitters, in turn, rely on GPS signals to broadcast a UAS’s position and transmit data in real time to air traffic controllers and other nearby ADS-B equipped aircraft. With no input needed from operators, automatically transmitted location data and other pertinent information are available. Safe UAS flight is powered by the data gathered from satellite navigation signals: they receive aircraft position sources, which the system then integrates to compile a full set of location information. Over one million drones were sold in the U.S. in 2016 alone. Because of this, it is increasingly imperative that safety measures be implemented to accommodate the changing airspace traffic. Increased safety measures will create less restrictive regulations, allowing commercial industries to flourish. ADS-B receivers, along with operational intelligence (OI) technology, can help to reduce incidents and improve safety in the National Airspace. Speaking of OI, this type of platform can collect further information as well as bridge the gap in data flow to enable commercial unmanned operations to more quickly and easily access data. Based on sophisticated algorithms, users can better perform predictive, preventative and reactive analysis for full operational and situational awareness. Simulyze’s Operational Intelligence (OI) platform provides real-time data insight and intelligence needed to enable the safe integration of UAS operations in the National Airspace. OI, together with the most recent regulations—and even ADS-B receivers—are helping to foster this growing industry. Contact us today to schedule a demo and learn how OI can further accelerate the commercial UAS timeline and improve safe drone technology.